If you’re looking for a Canton dentist to care for your smile, look no further than Harbor East Dental. Located just up the road in the Harbor East neighborhood, our office is less than ten minutes away for most Canton dental patients. 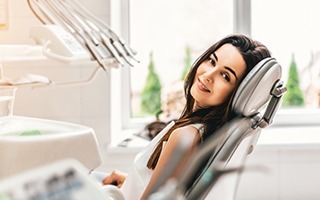 In addition to our convenient location, our friendly, gentle dental team offers comprehensive dentistry services to meet every patient’s needs. If you want to learn more, call your Canton dentist and team at Harbor East Dental of Baltimore to schedule an appointment with us today. TThere are two dentistry experts on our team. Dr. Marina Burdusi has more than fifteen years of dental experience, offering her patient a variety of treatments. She has completed advanced training in a number of complex dentistry services, including studying at the prestigious LD Pankey Institute where she learned how to provide high quality dentistry treatments with a focus on relationship-based dental care. Dr. Burdusi is dedicated to partnering with patients to achieve all of their oral health and hygiene goals. Dr. Kelly Betts, who is our other talented dentist and a dedicated lifelong learner, uses many advanced dentistry technologies to provide comprehensive treatment plans for her patients. 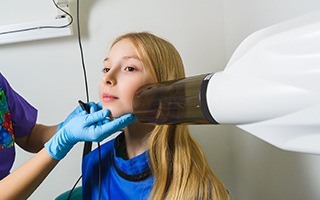 For example, she offers Botox to help those with TMJ issues and soft/hard tissue laser dentistry for more precise and comfortable preventive and restorative treatments. Whatever dentistry services you need, the Harbor East Dental team can help. 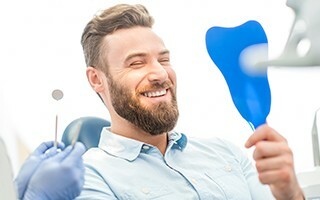 We offer basic preventive dental checkups and teeth cleanings as well as the most advanced treatments like dental implant tooth replacement plans. We can also use our state-of-the-art dental technologies to offer TMJ therapy and orthodontic services. Our Baltimore dental team looks forward to helping you with all of your oral health and hygiene needs. The price of dentistry services is one of the leading barriers between dental patients and the care they need. At Harbor East Dental, we are here to help you offset the cost of your treatments by processing and filing PPO dental insurance claims. We also offer in-network coverage for Cigna and Guardian dental benefit plans. 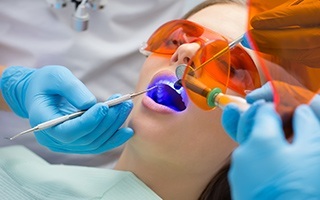 Don’t have traditional dental insurance? No problem. Ask one of our team members about our in-house savings plan. If you need to spread out the costs of treatment, we are happy to work with CareCredit and Citi Financial to offer low and no interest payment plans. We are conveniently located for Canton neighborhood residents. We’re just about ten minutes away on the east harbor. Our state-of-the-art office makes getting treatment for all of your preventive, restorative, and cosmetic dentistry needs comfortable, quick, and precise. We welcome families in our office, and with early morning appointments to accommodate your schedule, our team makes getting the treatments you need easier. Whenever possible, we also offer same day emergency dentistry appointments to relieve pain and begin repairing damaged smiles.